“Brain Death” – It’s NOT Death! DO YOU WANT TO BE AN ORGAN DONOR? Life Guardian Foundation is an organization founded and dedicated to educate the public that life of the human person is a gift. Respect is owed to every human person regardless of their state of health throughout their entire lifespan from conception until his or her natural end. Your “refusal” for organ donation must be documented. Yes, I would like to order the Directions to Protect and Preserve Life including the OPT-OUT card download for a donation of $2.00 each (click here to be taken to our digital download page). “Brain death” was invented for the sole purpose of organ transplantation, living human medical experimentation and a means in which measures to sustain life could be legally withdrawn. It was the first legal form of euthanasia in the US. This deadly code of silence has been broken. It is time to inform the Public of the Truth…. 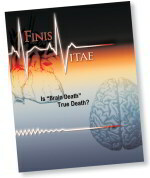 Finis Vitae, ‘Is “brain death” true death? are the Proceedings of the “The Signs of Death” symposium conducted at the Pontifical Academy of Sciences (PAS), February 3-4, 2005, which occurred at the specific request of His Holiness Pope John Paul II. Pope John Paul II’s message to the participants was very clear: “Each human being, in fact, is alive precisely in so far as he or she is ‘corpore et anima unus’, (body and soul united) and he or she remains so for as long as this substantial unity-in-totality subsists.” This book must be read by every physician, priest, minister, emergency medical personnel, every parent and every teenager before any consideration of the issues surrounding organ transplantation. Order The Booklet in Printed Format Today! • Do Your Organs Belong To The Government? How aware and prepared are you REALLY for this: Your loved one becomes unconscious and suddenly you find yourself pressured to consent to organ donation, …. but what the experts are not telling you is that organs only come from LIVING donors who are dissected alive without anesthesia? Why is brain death not based on sound medicine? What really happens during organ harvesting? Why do you need to know about the “apnea test” and what it does to you or your loved ones? Why is only one side of the story being told? How can you REALLY give informed consent? What are your constitutional rights? How is brainwashing employed to coerce donors’ families to feed the organ industry? Are you opted in by law without consent? What age group is at the most extreme risk? What specifically can you do NOW to prepare and protect yourself and your beloved family members? Pioneering inventor of the Premie ICU and of Premie blood pressure systems, and founder of the field of neonatology, Dr Paul A Byrne MD joins Reluctant Preppers to draw back the curtain and expose the medical/industrial/government collusion that will set your heart pounding, and send you running to warn your loved ones! Do not miss this one! Share it with everyone you care about! Do you really want to be an organ donor? PITTSBURGH, PA, March 5, 2009 (LifeSiteNews.com) – An Ohio couple filed a lawsuit Wednesday accusing doctors of removing a breathing tube from their 18-year-old son, who had suffered a brain injury while skiing, in order to harvest his organs. Michael and Teresa Jacobs of Bellevue, Ohio, parents of Gregory Jacobs, maintain that their son’s death was caused, not by his injury, but by doctors removing his breathing tube and administering unspecified medication in preparation for organ removal. The charges were filed against Pittsburgh’s Hamot Medical Center doctors and a representative of the Center For Organ Recovery and Education (CORE). The parents also say the CORE representative directed that Jacobs’ organs be removed in the absence of a valid consent. “But for the intentional trauma or asphyxiation of Gregory Jacobs, he would have lived, or, at the very least, his life would have been prolonged,” says the lawsuit. “Gregory was alive before defendants started surgery and suffocated him in order to harvest his organs,” which included his heart, liver and kidneys. The parents filed the suit in the U. S. District Court in Pittsburgh seeking more than $5 million for their son’s pain and suffering, medical bills, funeral expenses, and punitive damages. Coimbra referred to the so-called “apnea test,” whereby living patients who cannot breathe on their own have their ventilator removed, and are deemed “brain dead” if after ten minutes patients do not resume breathing. The problem with the test, said Coimbra, is that otherwise treatable patients sustain irreversible brain damage by oxygen deprivation during that ten minutes. ROME, February 26, 2009 (LifeSiteNews.com) – If a patient is able to process oxygen from the lungs into the bloodstream, maintain a normal body temperature, digest food and expel waste, grow to normal adult size from the age of four to twenty, and even carry a child to term, can he or she be considered dead? Can a person who is “dead” wake up and go on later to finish a university degree? Can a corpse get out of bed, go home and go fishing? Can he get married and have children? These are among the real-life stories of patients declared “brain dead” presented by medical experts at the “Signs of Life” conference on “brain death” criteria held near the Vatican in Rome last week. Ten speakers, who are among the world’s most eminent in their fields, sounded a ringing rebuke to the continued support among medical professionals and ethicists for “brain death” as an accepted criterion for organ removal. Dr. Paul Byrne, the conference organizer, told LifeSiteNews.com he was delighted with the success of the conference, that he hopes will bring the message that “brain death is not death” inside the walls of the Vatican where support for “brain death” criteria is still strong. Participants came from all over the world to attend the Signs of Life conference, with speakers from Quebec, Alberta, Ontario, Germany, Poland, the US, Brazil and Italy. The conference hall was packed to standing-room only with physicians, clergy, students, journalists, and academics. Clergy included two senior officials of the Vatican curia: Francis Cardinal Arinze, the head of the Congregation for Divine Worship and Sergio Cardinal Sebastiani, the President Emeritus of the Prefecture for the Economic Affairs of the Holy See. Two senior members of the Congregation for the Doctrine of the Faith were also present. Conference organizers told LifeSiteNews.com that they had expected no more than a hundred to attend and were surprised but very pleased with the crowd of over 170 for the one-day event. Conflicting voices on “brain death” criteria are still battling in the Church. In February 2005, the Pontifical Academy of Sciences (PAS) refused to publish the findings of its own conference after the speakers roundly denounced “brain death” as a cynical invention to further the monetary interests of organ transplanters. The speakers said that using “brain death” for the purpose of organ harvesting results in the death of helpless patients. The PAS convened a second conference in 2007 with different speakers who, with only two dissenting, supported “brain death” for organ transplants. Papers from the 2005 conference that opposed “brain death” were excluded without explanation to their authors. During a Vatican-sponsored conference last November on organ transplantation, at which not a single speaker raised their voice against “brain death,” Pope Benedict XVI warned in an address that “the removal of organs is allowed only in the presence of his actual death.” But on the Monday following the Friday organ transplant conference, only the PAS conference report in favor of “brain death” was posted to the Vatican website and not the Pope’s warning. “It’s here to demonstrate clearly that ‘brain death’ never was true death. What we’re trying to do is come back to the truth and protect and preserve the life that comes from God. ROME, February 24, 2009 (LifeSiteNews.com) – While he said that he could not predict the future, Professor Josef Seifert told LifeSiteNews.com (LSN) on Friday that a conference on “brain death” criteria last week had possibly opened a door to moving opinion in the Vatican away from support for the use of the criteria for organ transplants. Professor Seifert is a philosopher and the rector of the International Academy for Philosophy of Liechtenstein and a member of the Pontifical Academy of Life and was a speaker at the ‘Signs of Life’ conference held last week near the Vatican. The conference was organized by Human Life International (HLI) and the American Life League (ALL), as well as the Italian organization Associazione Famiglia Domani and other groups, to address the growing opinion in academia, medicine and even within the Church that “brain death” is a legitimate diagnosis. The conference speakers, including eminent neurologists, jurors, philosophers and bioethicists, were united in their denunciation of the “brain death” criteria as a tool in the determination of death. The two “pragmatic reasons” cited by the Harvard Report, he said, were “the wish to obtain organs for implantation and to have a criterion for switching off ventilators in ICUs.” He said these must be rejected because they “possess absolutely no theoretical or scientific value to determine death.” This conclusion was amply supported by clinical neurologists, and neurocardiologists, who told participants that a patient who is declared “brain dead” by the standard criteria, is, quite simply, still alive. To LSN Professor Seifert responded to comments made in September 2008 by Francesco D’Agostino, professor of the philosophy of law and president emeritus of the Italian bioethics committee, that opposition to the “brain death” criteria in the Church is “strictly in the minority.” A 2006 document, entitled “Why the Concept of Brain Death Is Valid as a Definition of Death,” was signed by Cardinal Georges Cottier, then theologian to the papal household; Cardinal Alfonso Lopez Trujillo, at the time president of the Pontifical Council for the Family; Cardinal Carlo Maria Martini, the former Archbishop of Milan; and Bishop Elio Sgreccia, the then president of the Pontifical Academy for Life. Professor Seifert, however, said that he did not agree with the assertion that there is a universal consensus in the Church supporting brain death. He pointed to the act in 2005 by Pope John Paul II in convening a conference to discuss “brain death” as evidence that the subject is far from closed at the Vatican. Indeed, continued interest was signaled last week by the presence at the Signs of Life conference of Cardinals Arinze and Sebastiani and two representatives of the Congregation for the Doctrine of the Faith. “There’s no official church teaching at all against the conclusion that all the speakers reached yesterday that the brain death definition is not correct,” he said. The Pope said that “the main criterion” must be “respect for the life of the donor so that the removal of organs is allowed only in the presence of his actual death,” a strong indicator that he does not accept the concept of “brain death” as indicating actual death, according to Seifert. The idea that there is a majority opinion among theological and ethics experts, including the Pontifical Academy of Sciences, in the Church in favor of “brain death” is irrelevant, he said, in the search for the truth. He warned that the “brain death” theory has the characteristics of an ideology. ROME, February 23, 2009 (LifeSiteNews.com) – Bernice Jones came to Rome last week to tell the world that doctors killed her son by removing his organs. “Brain death is not death” and “organ donation is very deceptive,” the bereaved mother told LifeSiteNews.com in an interview on Thursday. Mrs. Jones was attending an international conference on the dangers of so-called “brain death” criteria and related her experience of losing her son, Brandon, who was declared “brain dead” and used as an organ donor. Nine years ago, Mrs. Jones’s son suffered an accidental gunshot wound to the head and was declared “brain dead” upon arrival at the hospital. He was immediately prepared for the removal of his organs. 24 hours after the family was told Brandon was dead, Mrs. Jones had an intuition that her son was still alive. Later investigation revealed that the hospital had told the family her son was “brain dead” but, without the family’s knowledge, had kept him alive on a respirator for 20 hours while flooding his body with fluids and drugs in preparation for what his mother described as a live “dissection” that brought about his death. Legal consent, she said, was obtained while the family was in deep shock over the accident. Jones’s husband signed the consent forms over her objections and the family, still in shock, was told to go home. During their time at the hospital, the family was introduced to a woman whom doctors referred to as an “organ procurement agent.” This woman used what Mrs. Jones described as a standard “script,” speaking soothingly to the family about Brandon’s altruism and desire to help others, to induce them to sign the consent forms, copies of which were not given to the family. Mrs. Jones was later to learn that these procedures are standard for organ retrieval. “All of the organ donor families I have spoken to received the same script,” she said. Organ procurement officials approach the family when they are at their most vulnerable, she said. “It’s always when you’re not mentally, emotionally capable” of making an informed decision. Brandon Jones was given, without his family’s consent, what is called an “apnea test” by doctors, to determine brain death. Doctors remove the ventilator for two minutes from a patient who requires assistance breathing. The heart rate decreases and after two minutes without oxygen, “brain death” is declared. The apnea test as a diagnostic tool was specifically denounced at the conference as unethical by Dr. Cicero Coimbra, a neurologist from Sao Paolo, Brazil. The test, he said, which cuts off oxygen to the brain, will bring about severe, irreversible brain damage in patients who, with proper care, would otherwise have had a good chance of survival. Mrs. Jones believes doctors who are motivated by the desire to obtain organs use the apnea test knowing that it will induce severe brain damage while the body is prepared for organ removal. She described what happened to her son: “For two minutes they took the ventilator away from him. They wait for the pulse to go down but the heart continues to beat. Then they put the ventilator back on. Now, in this two-minute timeframe, they pronounce the patient dead. ROME, November 24, 2008 (LifeSiteNews.com ) – Dispute within the Vatican on the approval of so-called “brain death” criteria for organ transplants remains sharp, according to a senior Vatican correspondent. Sandro Magister, a leading Italian journalist and expert on the Vatican, wrote this week of the internal dispute over support and opposition to “brain death” criteria, the definition of death that allows vital organs to be removed from patients while their hearts are still beating. Magister points out that in September this year, L’Osservatore Romano, the official newspaper of the Vatican, published on its front page a long article by the philosopher Lucetta Scaraffia. Scaraffia, who is the vice-president of the Italian Association for Science and Life and a member of the Italian National Committee on Bio-Ethics, called into question the Vatican’s approval of “brain death” criteria for organ transplants. That article, said Magister, “raised a firestorm” of debate within the Vatican, coming as it did in the immediate lead-up to a generously financed international conference on organ transplants, sponsored in part by the Pontifical Academy for Life (PAV). That sponsorship had outraged pro-life advocates around the world who said that, given the problems surrounding organ transplantation, the PAV had no business promoting it. Judie Brown, a member of the PAV and the head of American Life League, had written to Academy head Archbishop Fisichella asking that the conference be postponed or cancelled altogether. 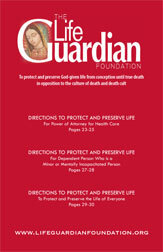 The unease of the pro-life movement with “brain death” was sustained by Pope Benedict XVI’s address to the transplant conference, in which he pointedly insisted that organ donation must remain “a gift” of the donor and that organs cannot be taken from vulnerable persons without their consent. At the same time, however, Magister says that “pressure was applied” to Pope Benedict to attempt to force him to confirm “brain death” as a valid criterion. Magister pointed out, as evidence of the dispute within the Vatican, that Bishop Marcélo Sánchez Sorondo, chancellor of the Pontifical Academy of Sciences (PAS), immediately following the Pope’s address hastened to post to the Vatican website the findings of a group of scholars at a 2006 conference of the PAS who supported “brain death” criteria. Bishop Sorando did not also post the suppressed findings of the 2005 conference on the same topic where a majority of participants opposed ‘brain death’ as a true definition of death. There was a more selective invitation to pro-organ transplant scholars for the 2006 conference. The Demise of “Brain Death”: Commentary by Dr. Paul A. Byrne, M.D. 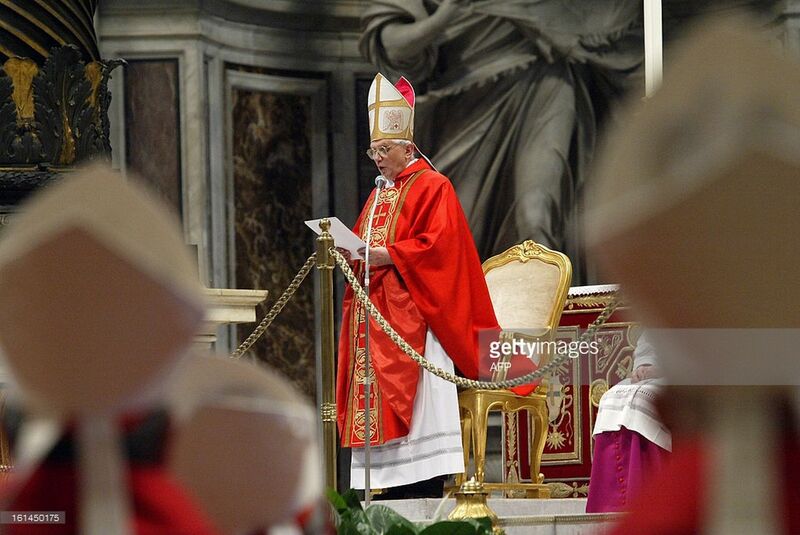 ROME, February 16, 2009 (LifeSiteNews.com) – An conference set to take place in Rome this week on “brain death” seeks to clarify the position of the Catholic Church on the removal of vital organs from patients. In November 2008, a high-profile conference on organ transplants, held in one of Rome’s most prominent conference halls, steps away from St. Peter’s Basilica, and sponsored by the Vatican’s Pontifical Academy for Life, caused an uproar when it declined to address the ethical problems of “brain death” criteria. Hundreds of letters and appeals to the Pontifical Academy for Life from pro-life advocates around the world went un-answered and the conference went ahead with no mention of any of the controversy surrounding the use of these and other criteria that allow the removal of organs from living patients. Immediately following publication of the Pope’s address, however, the Vatican website posted articles defending the use of brain death criteria in determining death for purposes of organ transplants. In early September, as news of the organ donor conference was starting to make the rounds of the pro-life community, L’Osservatore Romano broke ranks and published an article by Lucetta Scaraffia, a professor of contemporary history at the Rome university La Sapienza, outlining the dangers of the brain death criteria. This week’s conference has a large task ahead in convincing the Vatican to shift direction in its support of brain death criteria. In 1985, a statement from the Pontifical Academy of Sciences upheld the use of “irreversible coma” as a legitimate criterion for a definition of death for organ removal. This was reiterated in 1989 with another statement from the same academy, reinforced with a speech by John Paul II. John Paul II reinforced this position in an address to a world congress of the Transplantation Society, on August 29, 2000.